A shared sport fishing charter is the best way to go sport fishing without pay to charter for the entire boat. *Adults and Children are the same price. A shared sport fishing charter is the best way to go sport fishing if you do not have 4 or 6 people in your group. You can pay a flat rate per person and you will be joined by other fishermen. 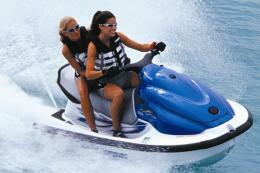 There is a maximum of 6 people on shared charters. 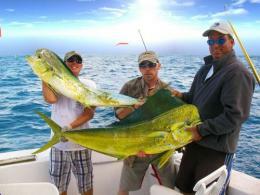 Sport Fishing, also known as Charter Fishing, is one of the most fun and exciting things to do in Fort Lauderdale. 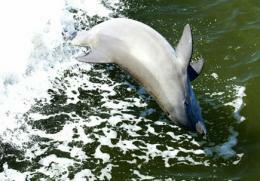 Some of the biggest game fish in the world are found about 1 mile offshore from Fort Lauderdale. 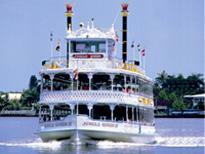 Many species of fish migrate to Fort Lauderdale all year. Some of the fish you may catch include Sail Fish, Marlin, Mahi-Mahi, Snapper, Grouper, Cobia, Amberjack, Barracuda, and even Big Game Sharks. 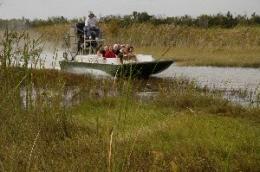 Our fishing boat and fishing crew are some of the best in the state of Florida. The sport fishing charter begins with a 10 minute boat ride through Fort Lauderdale's intracoastal waterway, where you can see millionaire mansions and mega yachts. Then, the fishing boat will cruises through Port Everglades, home to the largest cruise ships in the world. Then you will cruise to the deep sea where you may choose to stop at the bait fish buoy for 5-10 minutes to catch some fresh live bait fish. You may also choose to purchase live fishing bait during the trip. With the live fishing bait, you can go fishing in the deep sea for big fish. You can also choose to purchase premium live bait. On a shared sport fishing charter, you get the share sport fishing boat with a few other people. The maximum number of customers is 6 people. This is the best way to go if its only 1 or 2 in your group. *The depature address and phone number will be provided with your email confirmation. Reservations are required. Please book online or contact us if you have questions.